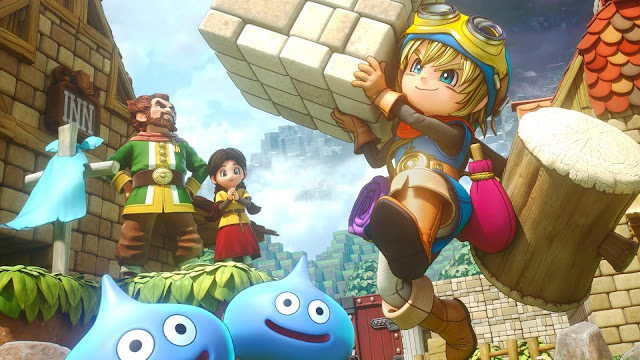 Having just recently been made available, a demo for Square Enix’s Dragon Quest Builders has appeared on the PSN before its official launch in just a couple weeks. 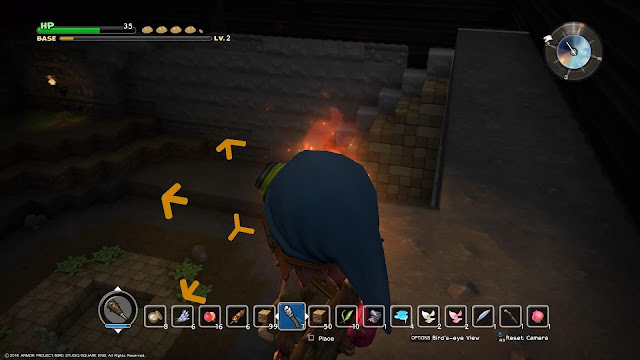 At first glance it could seem like an attempt in order to break into that pixel/voxel world that Mojang’s Minecraft has made so popular by putting a Dragon Quest gloss over the top of that play style, yet it feels very much like a Dragon Quest with elements of the other. With just the first chapter available to play through, my other half and I are already hooked. Breanna is the reason that I originally got into Minecraft and with one look at me setting up my tiny starting village was all it took to not lose my controller so that she could make it better. Thankfully she has her own PS4 for that and she can design her own houses for people. Set in an alternate world after the original events of Dragon Quest, the Hero instead of defeating the Evil Dragon Lord instead decided to split control of the world in half and lost his life thereafter never leading to the timeline of Dragon Quest II (Dragon Quest III was a prequel to the first). Awoken by a voice after a long sleep, you are told that it is up to you to rebuild the world. 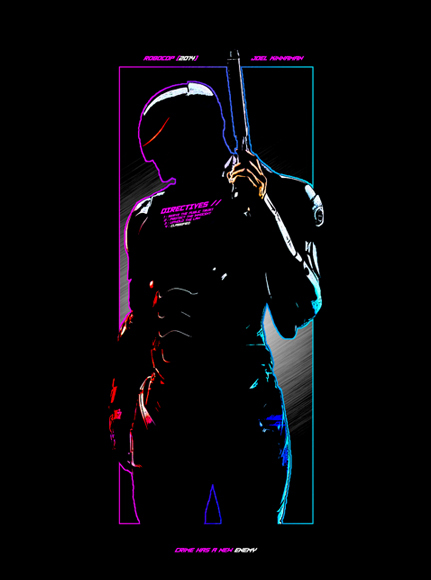 You are not a Hero and the fight to cleanse the world of Evil is not yours to be had. You are a builder, and build you shall. The Demo only allows players to experience the first chapter and thus there could potentially be many features still to come. 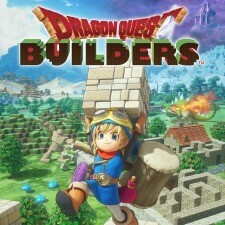 As mentioned though, Dragon Quest Builders feels like a Dragon Quest with the well known art style for the series, the iconic monster designs, the music and the sound effects not to mention being able to craft a chimera wing in order to instantly teleport back home. As long as a roof isn’t over your head. Even if the story could border on the darker side, the Dragon Quest series has always felt lighter-hearted and the art style has always carried that through which is the case here. Evil won and things still looks cozy. I also didn’t get a chance to see poisonous swamps yet but monsters are cute. Moving along however… after waking up in a cave it does not take very long before the sandboxed elements take place in which gathering resources and following recipes comes into play. 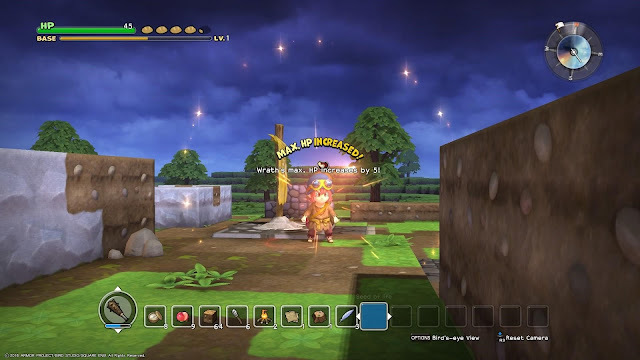 Instead of having to rely on a pickaxe for stone, a shovel for dirt, or axe for wood, our Builder (Insert your own name and customize your appearance and character gender here) has instead been granted powers from the Goddess allowing them to simply swing and break stuff. Crafting a basic weapon, a Cypress Stick, our builder gets to work by breaking dirt in order to mold it into easy to use squares that make it much easier to reach the placed door up above. Climbing is for heroes. Once the breathtaking view of the outside world has passed, as it is gorgeous, it’s time to make your way down the hill over to the remnants of an old town which will be yours momentarily. 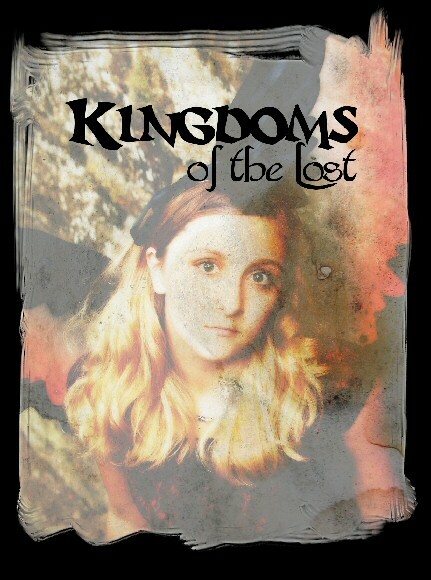 Planting your Goddess granted flag in order to restore a bit of light to the land, a young lady named Pippa joins up with you wondering why there’s a place like this and also wonders why it feels so comfortable. Taking care of her needs will be the first set of tasks in order to get you comfortable with building and crafting and both you and her need a place to sleep and rest. The series of tasks that are placed upon you build up the basic elements that you are going to need in order to survive out here. Knowing how to build a home, a kitchen, a storage closet, new weapons, doors, torches, and and then some are all going to come in handy. Homes are required for new people to actually live in this new place that you are building that is not only cozy, but also safe from the monsters that roam the lands. Eating food is great and all as it keeps up stamina but who wants to simply eat what they picked up off the ground when they can cook it instead? With everything that can be picked up out in the “wilderness” you are going to need a place to store it all which is where knowing how to build chests will come in handy. All of these tasks will be given by Pippa before she asks you to follow a blueprint and build her a crafting room. Demanding for someone you just met but convenient for figuring out all the smaller things. Running around this world, especially with a controller, has been made easy with our builder having a very easy time to build and place things immediately in front of them as well as one level below and one level above. Dubbed “Pot Holes”, the holes in the ground were easily filled by targeting lower and simply filling these spaces with dirt so that you don’t need to jump out of them every single time you fall into them. Buildings, and furthermore Houses, can be built by placing two levels in a square like shape and then adding a door to close it off. Roofs are optional and according to Breanna, look half assed without them. Being a top down view however as our Builder runs around in a third person style, I’ll take not having a roof and hope that my metaphoric one keeps me dry! Just don’t tell her that I agree with her. I figure actual roofing will come later down the line. Dragon Quest is a long line of RPGs and Builders… is only in a way an RPG as the only thing that levels up is your town, and not you. You are not a Hero. You are a builder. Your strength as told to you by the Goddess will come from the things that you create. Thus, get creative and score points in order to level up! So what are these points that I speak of? Points, or really Experience Points towards your “town” and most likely city later, are granted for making buildings and furnishing them. A crafting room, a kitchen, a storage locker, or a home / homes, all grant a variety of points that all add up. Removing any of these however reduces the amount of experience towards the level goal so keep that in mind when moving things around. Even without gaining experience fighting monsters and engaging into combat is not only fun, but also necessary. Not all the items that you will need in order to craft will be available out in the wilds and just lying around waiting for you to pick them up. A lot of these will require engaging monsters and defeating them. Slimes, ghosts, chimeras, and drackies were all present in the starting zone and the drackies were as adorable as ever. It was actually hard to defeat them because they are cute. When monsters die, like when dirt or plants have had their hit points removed, materials will be gained and one they have been walked over they are automatically entered into your inventory for quick and easy usage. If you are carrying too much, a quick trip back to your storage locker to dump them all into your appropriate chests is all you need in order to get right back out there. 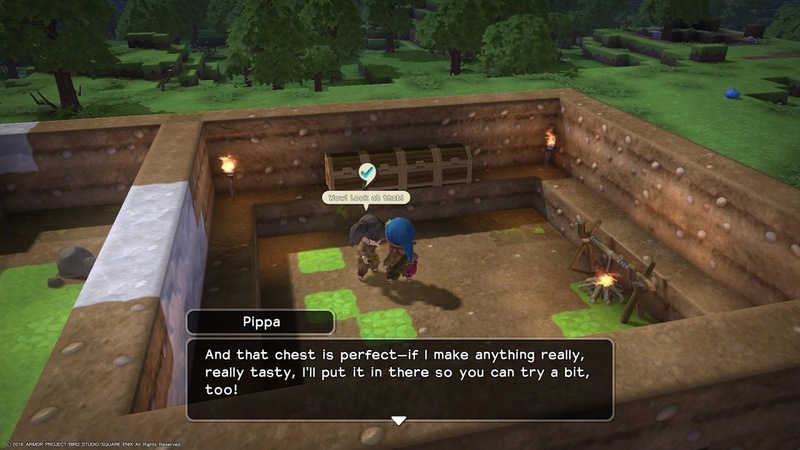 After a little while Pippa mentions another person that she saw on her way over and suggests that you go find them and invite them to your town. Setting out to find this person and bring him back results in two people asking for things to do be done around the settlement including a new space for this person to live as well as a bit more details of the world you live in. Having people give out quests and talk to you makes this world feel more alive compared to if you were just thrown into it with the goal of doing whatever. Living in your settlement though these people become in a way your responsibility and defending them becomes your charge. Just because you aren’t a Hero however does not mean that you cannot fight and even if you take it lightly out in the fields, all the stops will need to be removed in order to defend the town. Almost like another quest of sorts, your town can be attacked by monsters. Skeletons have always been scary in the series because they boil down to “things just got real” as they are tough enough enemies. Having more than a couple attack the town makes things even scarier as you don’t level up and have to use what is on hand in order to repel them and save those that are now living inside of your walls. Tower defense inside of my Dragon Quest? Yes please! Dragon Quest is no stranger to an open world with several entries entertaining the idea even all those years ago. Adding in sandbox elements however really works with the style both in terms of gameplay and visuals as unlike the Final Fantasy series that strives for hyper-realism (and FFXV looks freaking amazing) there’s a charm with the Dragon Quest series that cannot be replaced making this almost adorable world that much more fun in order to explore to gain the materials to make your settlement better.